David Archuleta and John Lennon Singing Imagine! Idols Listen and Learn! A painful evening last night watching American Idol and listening to a very bad version of “Apologize.” David Archuleta is the only one who can really sing that song, he even does a better job than “One Republic”. I am just thankful someone didn’t try to sing “Imagine.” Last night was like eating something that left a bad taste in your mouth and now we need to rinse. Noooo! I am not going to try and compare these two versions of IMAGINE! David Archuleta sang his verson of John Lennon’s Imagine on the second week of Season 7 on American Idol February of 2008. It became a classic in its own right and thought it would be honoring both of them to enjoy both versions. Many discussions and arguments arise from whether David’s version was better than Lennon’s or vise versa. It was a sensitive time back in the ’60s and John Lennon gave us food for thought in his writing of Imagine. David grew up loving this song and thoroughly felt and understood the meaning of Lennon’s song. David’s rendition give us an updated emotional sensitivity and reawakening to the song, its meaning, and the man we loved so much who wrote it. 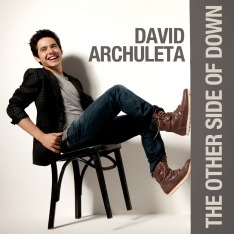 We lost a great singer/songwriter and because of David Archuleta he was brought back to us if only in song. Enjoy listening to two unique artists singing Imagine!! !